L.A. Remenicky’s journey to publication started with an intro to NANOWRIMO in 2012 and she never looked back. She is a payroll professional by day and writes out the stories in her head by night. She shares her life with her husband and three fur-kids. 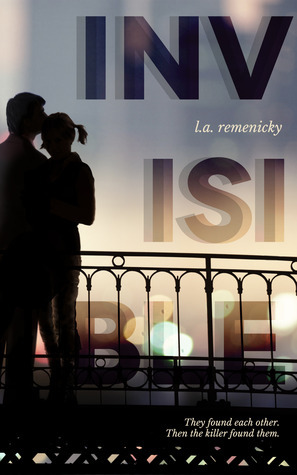 I am organizing a two weeks tour for the Romantic Suspense Invisible by L.A. Remenicky . The tour is scheduled for February 24th to March 7th.